The following table lists the top financial modeling trainingFinancial Modeling Training CompaniesWho are the best financial modeling training companies in the world? We compare CFI, WSP, BIWS, TTS & the top financial modeling companies for training. There are only a few select companies who are "pure" financial modeling training companies. websites in the world and ranks them according to their monthly traffic. The traffic data is from similarweb.com, which provides website traffic statistics and market intelligence. Website traffic is an important metric for every web-based business and is usually a crucial business driverBusiness DriversBusiness drivers are the key inputs and activities that drive the operational and financial results of a business. Common examples of business drivers are salespeople, number of stores, website traffic, number and price of that has a high correlation to the number of users. Corporate Finance Institute (CFI) is ranked number one (#1) on this list of financial modeling training websites, with over 3 million visitors; second is the finance forum Wall Street OasisWall Street Oasis (WSO)Wall Street Oasis (WSO) is a leading online community for aspiring professionals looking to break into investment banking, private equity, asset management, and other corporate finance careers.WSO operates an online forum where users can create new topic threads, build personal profiles, and comment on existing discussions. 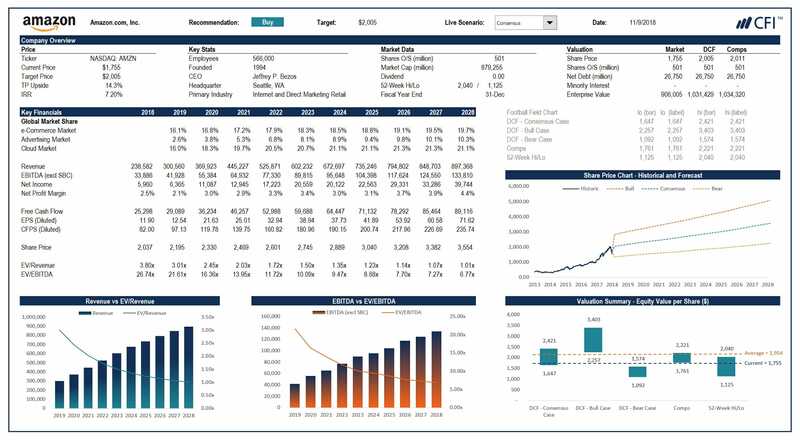 (WSO) with over 2.5 Million visitors; next are, CFA Institute, Wall Street Mojo, Mergers and InquisitionsMergers and Inquisitions (M&I)Mergers and Inquisitions (M&I) is a helpful website for getting into investment banking and other areas of finance such as private equity, equity research, etc. The site can be a valuable resource for anyone looking to gain knowledge on a wide range of financial modeling, valuation, Wall Street PrepWall Street PrepFinancial modeling courses. Without prejudice, for anyone considering a career in investment banking, equity research, FP&A, accounting, or finance, CFI courses are a common way to break in or move up. In this guide, we compare CFI to Wall Street Prep (WSP). Compare CFI vs WSP. (WSP), Breaking into Wall StreetBreaking Into Wall StreetOur students often ask before they register, how is CFI different than Breaking into Wall Street for online financial modeling training. Compare CFI vs BIWS (BIWS), Training the Street, FM InstituteFM InstituteOur students often ask us how is CFI different than the Financial Modeling Institute (FMI). Compare CFI vs FM Institute for financial modeling certification, and Wallst-Training. Image: CFI’s Advanced Financial Modeling Course. Every website has a different approach to teaching Financial Modeling. If you are interested in learning Financial Modeling, then you should take a look at the different approaches that each provider takes. You can look into the details of the Financial Modeling and Valuation Analyst (FMVA)® here.FMVA™FMVA™ is the Financial Modeling & Valuation Analyst program to become a certified financial analyst. CFI's FMVA program has 12 required courses on topics including accounting, Excel, finance, financial modeling, valuation, presentations, and other critical skills that financial analysts need. We hope this list and rank of financial training websites is useful and you found the information that you were looking for and it has helped you have a better gauge on financial modeling training providers. Explore our Career Map to find the right finance career path.